Two days of on and off storms plus a day or working on getting our trees tended after a big storm apparently yields one nearly finished sock. 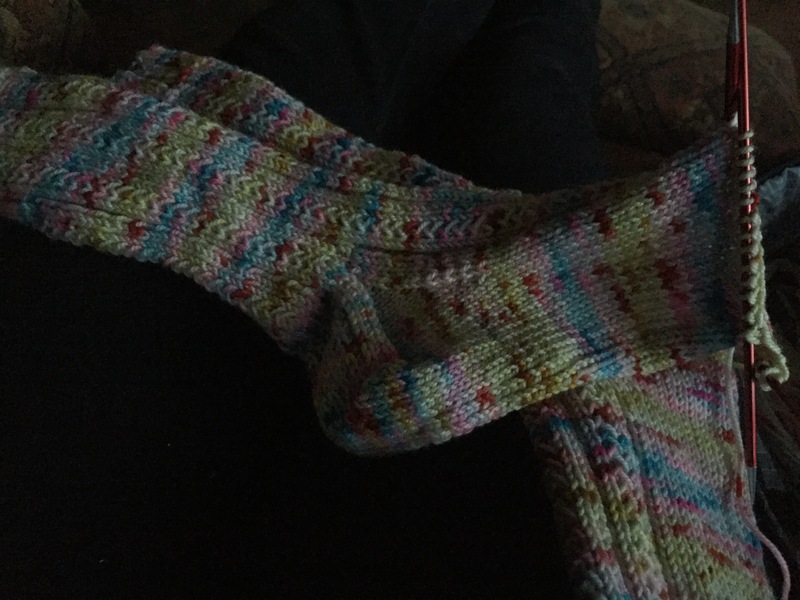 This is the Simple Skyp Socks pattern – it’s free on Ravelry. 🙂 So far, so good on the weather! Isn’t it great to have an excuse to knit? Lookin’ good on the socks. Hope your trees are OK. Send some of the rain our way – we could use it! WOW, that’s scary. It could have hurt someone or fallen on the house! You’re really lucky! Glad you’re all safe. Yes! Our insurance agent said the same thing! If there was a house in the lot next to us it could have been bad news, too. We count ourselves lucky!